It was a long time coming, but the GDPR finally went live in May 2018, after months of planning, paperwork and headaches. It would be great to have a little bit of quiet time now and concentrate on other important stuff like running your business, but unfortunately there’s another spanner in the works that’s going to be equally disruptive if you’re not properly prepared. With the vast majority of businesses using at least one of them, this is potentially bad news as the software will no longer be supported by Microsoft. What does that mean?…well…it means that if there any problems with them, they won’t be fixed and there will also be no more security patches and updates coming through from Microsoft. This will mean cyber criminals will have the perfect opportunity to sneak in and potentially steal that all-important data…oh, and your business will no longer be GDPR compliant. How can I find out if i’ll be affected? If you’ve recently invested in a shiny new IT system that uses a lot of cloud-based applications you might be ok – but you’ll still need to check. If you’ve got an old Windows Server running or you’re business computers and laptops are still using Windows 7 or using an older version of Outlook yours is almost certainly one of the thousands of organisations that’s going to need to upgrade before 2020 comes along. How can I find out whether we’re using this software in the office? The vast majority of business owners and managers neither know nor care what tech they have, as long as it works. If you’re struggling to work out whether you’ll need to upgrade, don’t panic, check out page 4 of our guide (more info below) which will quickly give you the tell-tale signs just by looking at your screen. Good IT management is all about planning and being proactive, so the good news is that if you start seriously thinking about the 202o problem now so you can factor this into your IT budget and it won’t have to be a problem at all. Of course, you could just wait until later to sort it out. It’s always tempting to put things off until there’s more money in the kitty or you haven’t got a hundred and one other things to plan for. But time flies, and 2020 will be here in the blink of an eye. It always takes a while for people to get used to using a new system, so if you want a seamless transition that won’t result in you having sleepless nights and stressed out staff, it’s prudent to act now. Upgrading makes good business sense, minimises stress and offers a host of benefits to you and your customers. 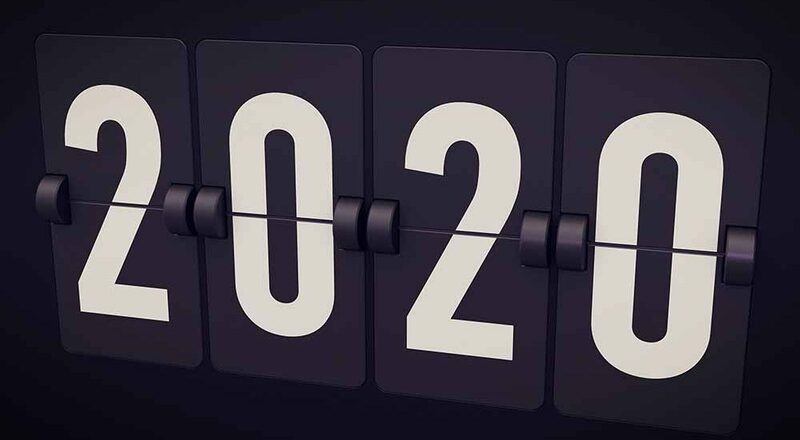 Our latest guide tells you everything you need to know about the 2020 problem including a visual guide on how to spot what software you’re currently using and what to do next if the software you are using needs to be upgraded.